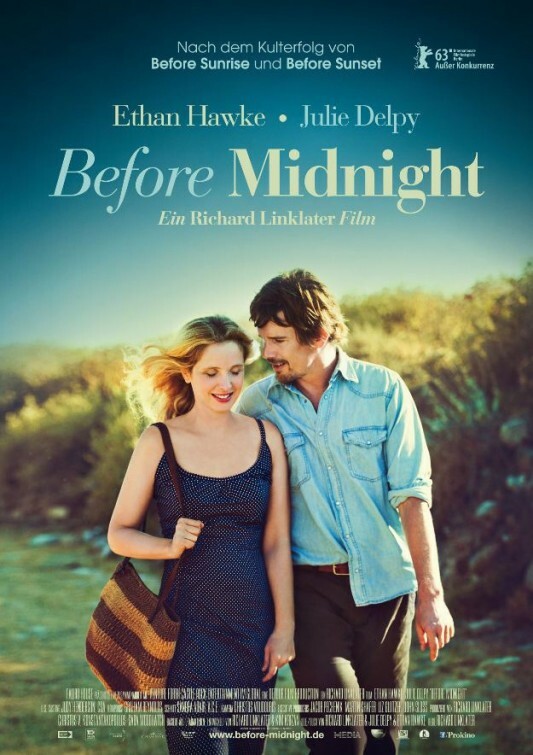 After basically being universally praised after premiering at the 2013 Sundance Film Festival this past January, Richard Linklater will see the most recent installment of his unexpected indie franchise in the form of Before Midnight. Some fans of the series that started with Before Sunrise and continued with Before Sunset were a little annoyed at how the trailer kind of spoiled a certain unknown element, that fact is made clear in the first 10 minutes of the film. And that's not what this film is about anyway. It's truly a special romance about real love, relationships and all the ups and downs between Ethan Hawke and Julie Delpy. Anyway, the first poster is here, and it doesn't give anything away about the film at all. Look below! 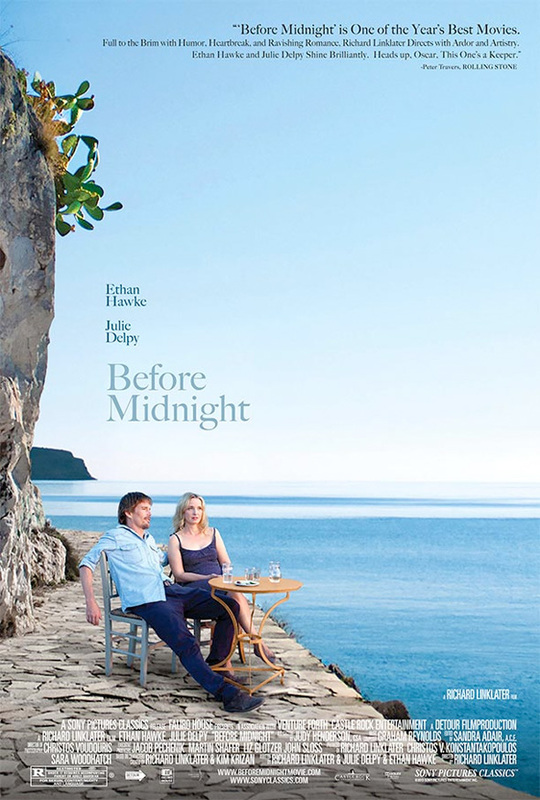 Before Midnight is written and directed by Richard Linklater, who was also behind the preceding films Before Sunrise and Before Sunset. Jesse (Ethan Hawke) and Celine (Julie Delpy) first met on a Eurail train and experienced 14 hours of deep connection as they explored Vienna. Nine years later, Celine found Jesse at a Paris book store, the last stop on his book tour. They had one day together before he was meant to fly out that night. Now, we meet up with the two off-and-on lovers nine years later, in Greece. Sony Pictures Classics picked up the film after Sundance 2013 and it starts hitting theaters this summer on on May 24th. If you haven't seen the official trailer for Before Midnight yet, it can be seen right here. It's a perfect film!